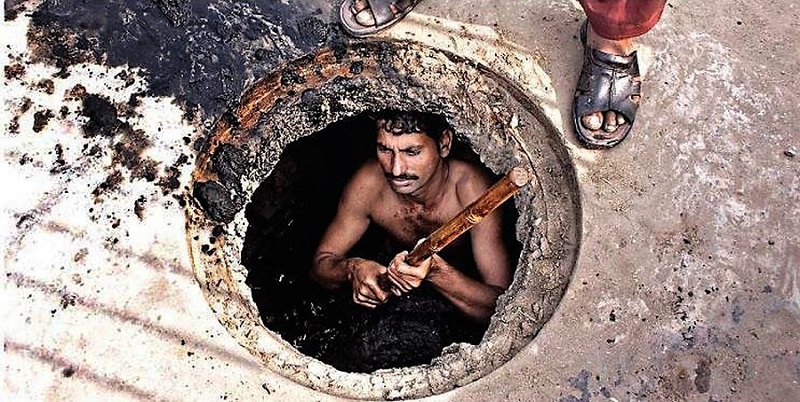 In an act of blatant discrimination against the Christian religious minority, and an infringement of Article 27 of the Constitution of Pakistan, the Hyderabad Municipal Corporation has invited applications for the job of sewers from Non-Muslims only. Moreover, applicants are required to take an oath on their religious holy book – Geeta or Bible – that they will never do anything else but work as a sanitary worker, and will never refuse to carry out the work. This is not the first time that Article 27, which provides safeguards against discrimination in services or employment, has been so blatantly trampled upon. The government has adopted a systemic policy of reserving sanitation posts for non-Muslims. On 18 September 2015, the Mandi Bahauddin, Punjab province’s District Head Quarter Hospital, publicized 10 vacancies, where sanitation jobs were reserved for minorities. A similar advertisement was issued by the Lady Wellington Hospital in Lahore, requiring only “non-Muslims” for this work. In 2015, the Punjab Cardiology Hospital issued an advertisement in several newspapers, which stated that “Only Non-Muslims persons who belong to minorities will be accommodated” for sanitation work. Though the advertisement was later redacted, it was made publicly clear that sanitation work was beneath the Muslim majority population.